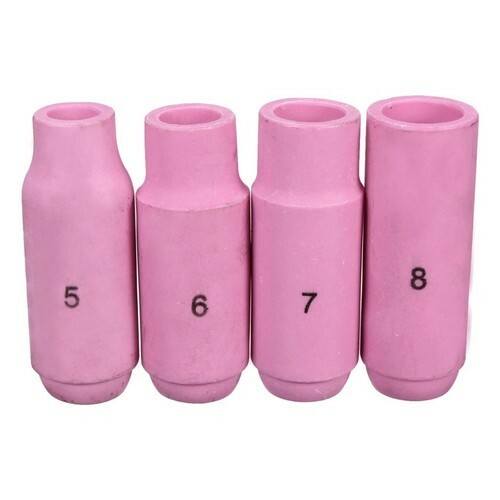 Our company has created a niche in the field of offering TIG Ceramic Cap. Our company “Aa Vee Enterprises” is creating a respectful status for itself by constantly performing principled occupational practices. Our organization is a steadfast name which is headquartered at Chitlapakkam, Chennai, Tamil Nadu. Since 2017, we are considering the contentment of the clients as our major apprehension and we are engrossed in manufacturing and importing an optimum quality spectrum of MIG Welding Machine, Pipe Bending Dies, TIG Consumables Accessories, Spot Welding Electrode, Seam Welding Wheel, MIG Welding Torch Accessories, Spot Welding Arm and many more. We are constantly concentrating on becoming better by implementing change in ourselves with the numerous necessities of our clients. Our experts also make sure to deliver best quality at feasible rates by the constant support of our dexterous panel of experts.